Steve Glazer is already grabbing the headlines. STATE SENATE | DISTRICT 7 | Steve Glazer, a former consultant to Gov. Jerry Brown, failed to advance past the June primary last summer in the 16th Assembly District, but his return last month to seek Rep. Mark DeSaulnier’s vacated seat in the State Senate might seem very familiar to weary voters in Contra Costa County and Tri Valley in Alameda County. During a forum in Lafayette Wednesday, Glazer used a nearly identical playbook of centrist policies that gained his campaign for the Assembly great attention, but ultimately returned a dismal third-place finish in the June Primary. However, this time around Glazer’s opponents lack the ideological variety that exist in the race last year. There is no Republican of Catharine Baker’s ilk in this race, which could help Glazer in this moderate senate seat. In fact, the only Republican in the race, little-known Michaela Hertle, dropped out last week. However, her name will still appear on the Mar. 17 primary ballot. Assemblymember Susan Bonilla and Joan Buchanan, also Democrats, have thus far shown little dissimilarity. Both have positioned their campaigns on a platform for improving education. endorsement meeting last month in Dublin. Whether Glazer’s gameplan that yielded an unsatisfactory result last year works or not this spring is yet to be seen. But judging by Wednesday’s performance, he has successfully grabbed the narrative of the race in his favor. 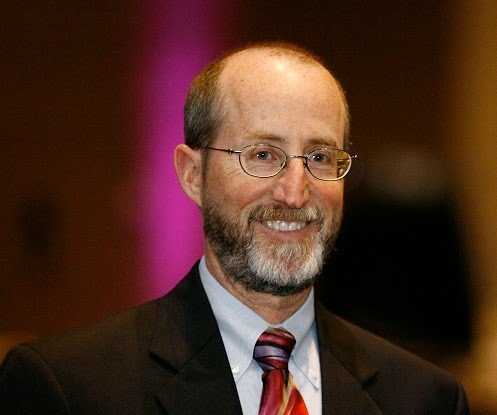 Glazer labeled himself with a number of ideological descriptors, including “social progressive,” “pragmatic progressive,” “fiscal conservative” and “Jerry Brown Democrat.” Support from every niche group might be needed for victory. In the meantime, Glazer’s platform has changed very little over the months. Banning BART strikes again took precedent. “I’m not anti-labor. I’m pro-rider,” said Glazer. He also pushed for state legislation to prohibit transit strikes. Glazer also called for his opponents to offer their answers to often confidential union questionnaires each may have filled out. But, Bonilla had a stern retort ready. “I have something better than the campaign contribution challenge. I actually have a voting record,” said Bonilla. On the governor’s high-speed rail project, all three Democrats questioned where funding will be found going forward. On the Delta water tunnels project, the trio registered opposition with Buchanan stating, “It potentially will destroy the Delta” and would not produce a drop of water for the drought-plagued state. Glazer’s call for linking together a broad coalition of voters in the 7th Senate District might face some difficulty from the left. When Glazer reiterated his endorsement of Republican Baker for the Assembly seat last fall over fellow Democrat Tim Sbranti, a number of people loudly hissed. Posted in AD16, Catharine Baker, delta tunnels, Jerry Brown, Joan Buchanan, June primary, pensions, questionnaires, SD7, Steve Glazer, Susan Bonilla, Tim Sbranti, unions. Bookmark the permalink. Another 3rd place finish for the wanna be! Glazer was rejected by the voters before, coming in third, and is even less popular in the larger Senate District. Besides, he's not not going to be able to raise the money he needs for a Senate Race, and both Joan and Susan are very popular as shown by actually getting elected to the Assembly. It looks like he will finish third according to the polls behind the two women. Buchanan is a huge favorite to be our next Senator and will be in the runoff with Bonilla. Glazer will lose again. Buchanan, Bonilla, Glazer——in that order. Glazer got less than 25% of the vote in 2014. I believe it was around 22-23%. He had almost all the newspaper endorsements, but was horribly rejected by the voters. The voters knew he was a one trick pony, and that issue couldn't even get him into a run off. Glazer is one of the worst losers in this area. He failed miserably in his Assembly race and will fail again in his Senate race. Maybe in 2016 he'll run for Congress. What a Joke! It will be Joan Buchanan and Susan Bonilla in the run-off but I'm not sure who will win. It will come down to who can get the most volunteers to help them in their campaigns. Mr. Baxter and I will be supporting SENATOR STEVE GLAZER as he is the only clean Democrat we could ever support. No dirty, corrupt union whores for us. The bill closed a gaping loophole in Brown's “pension reform” package and stopped some of the most egregious abuses in California. Her actions represented a principled stand in the face of great political risk. My family and I will be backing Susan Bonilla or Joan Buchanan, we haven't decided jointly yet. We won't back Glazer because he doesn't share our moderate values. Thank you for the above posting. My family and I had absolutely no idea for whom to vote but will now be following your lead. Steve Glazer is a really impressive guy. Really seems to be his own man and not beholden to any of the special interests. Will be volunteering for his campaign, seems like another John Kennedy to me. Great moderate consensus-buidler. Again the last 2 posts were posted by the Glazer sexist troll who posted the exact same posts when Glazer ran for his FAILED attempt last year for Assembly. He failed badly because he is a one issue candidate and NOT a moderate! That's why he was rejected last time and will be rejected again by the voters. 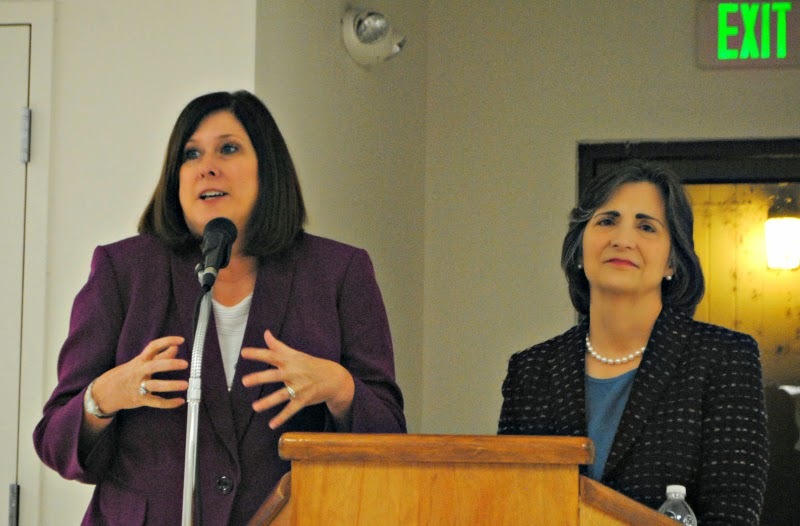 The moderates are the 2 women candidates, Susan Bonilla and Joan Buchanan. Let's see Glazer lost the Assembly seat despite lots of conservative money pouring into his campaign. In fact, he didn't even make the run-off. Now he wants to run for Senator after being rejected by the voters as a one issue candidate in his Assembly race. We didn't vote for him last time and won't this time either. It looks like one of the two current Assemblywomen will be our next Senator. I'm hoping for Susan Bonilla, but will settle for Joan Buchanan. As shown in his Assembly race, most, or over 75% of the public voters just don't like him. I know I will be voting for Susan Bonilla and so will my neighbor when we talked this morning. Glazer never was, nor ever will be the poeple's choice. Clean up your sexist language because the top two will be Susan Bonilla and Joan Buchanan. Glazer said he's sure he knows who's funding this “pro-Hertle” effort. But Glazer is benefitting from independent spending, too. Republican-turned-independent millionaire Southern California businessman Bill Bloomfield — a patron of centrist Democrats who buck their party and labor — has spent $224,000 on Glazer's behalf this month. And JOBSPAC has spent almost $38,000 against Bonilla and Buchanan. 3:33 is written like the loser she is. I have now decided based on her diatribe to support Mr. Glazer. He definitely is the People's Choice! Thank you 3:33—-I see now that Susan Bonilla and Joan Buchanan are now the People's Choice. My wife and I will be voting for Susan but never your candidate (Glazer) 5:01, who definitely is a corporate shill. As we found out before, since the pro-Glazer sexist foul-mouthed troll (anon 8:42) lives in Hayward, he can't even vote in this race. Since you are the Glazer Troll and live in Hayward Anon 3:50, you can't vote for Glazer. I guess it's o.k. for you to vilify the women candidates and make sexist comments, but when someone points out the truth about your candidate, you get upset. Nice try, but it doesn't fly. Since you are the Glazer Troll and live in Hayward Anon 7:59, you can't vote for Glazer. I guess it's o.k. for you to vilify the women candidates and make sexist comments, but when someone points out the truth about your candidate, you get upset. Nice try, but it doesn't fly. It looks like you are running scared. As we have found out, since the pro-Glazer foul-mouthed sexist troll lives in Hayward, you can't even vote in this race.